When One Direction went on hiatus at the end of 2015, there was intense interest from both fans and the media trying to guess what path each of the band members would follow. Would they take a complete break from the industry, pursue their own solo careers, or perhaps work out of the spotlight on production, songwriting or artist development? As each member started to shape their solo careers, it was clear that whilst they may have been exploring different genres musically, their shared experience in the industry was heavily influencing their business decisions. Soon, fans began to hear a lot of terminology that was unfamiliar to many - Distribution Deals, Exclusive Licenses, Imprints, Independent Labels and the like. New business ventures also started cropping up for each of them and upon the release of their solo music, these business ventures suddenly had context. So when Louis released Back To You and the fine print read "℗ 2017 78 PRODUCTIONS LIMITED under exclusive license to Simco Limited / Sony Music Entertainment UK Limited", things started to slot into place and at the same time, got a lot more confusing. In this article, we take a look at Louis' solo business interests and delve into the world of distribution deals and exclusive licenses. What solo business interests does Louis currently have? Louis Tomlinson and Daniel Deakin | March 2014. 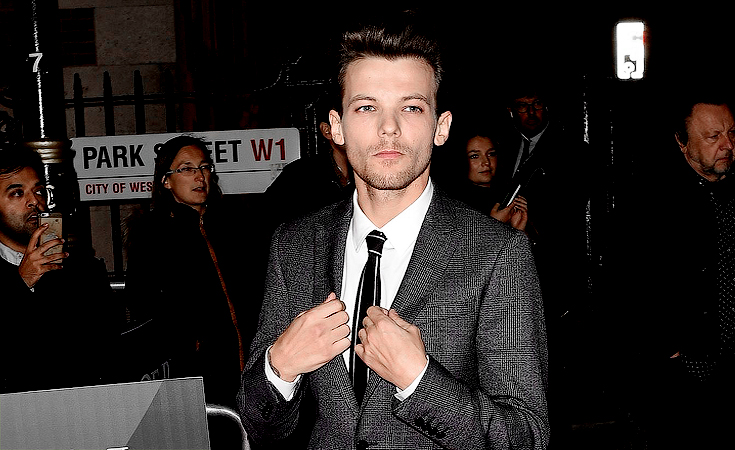 Louis has four solo business interests; 78 PRODUCTIONS LIMITED, LT Publishing, Triple Strings, and LT Touring LLP. What is 78 PRODUCTIONS LIMITED? 78 PRODUCTIONS LIMITED is an independent record label incorporated on January 7, 2015. The label has one owner (Louis), one artist (Louis) and two company directors (Louis and Daniel Deakin). Independent record labels are those which are independently owned and are not directly connected to one of the ‘big three’ record companies (Sony Music Entertainment, Universal Music Group and Warner Music Group). What is LT Publishing Limited? LT Publishing Limited is a publishing company with one owner (Louis) and two directors (Louis and Daniel Deakin). A publishing company is responsible for ensuring that the songwriter receives the royalties they are due for the song. Triple Strings is an imprint record label joint venture with two owners (Louis and Simco 50% each) and four directors (Louis, Simon Cowell, Lawrence Engel, and Michael Smith). An imprint basically sits somewhere in between an independent label and a major label (eg Epic, Columbia, Republic) and will focus on artist development. Imprints are a subsidiary of the major label who act essentially as the manager of the imprint. Examples of imprints are Sean “Diddy” Combs’ ‘Bad Boy Records’ and Lil Wayne’s ‘Young Money Entertainment’ which have signed the likes of Drake and Nicki Minaj. LT Touring LLP is a touring company incorporated on November 9, 2017, with two directors (Louis and Alan McEvoy). Whilst we don't yet have details of its specific function, it is anticipated that it will be used to manage tour proceeds and expenses such as promotion/travel/lodging/crew/set construction etc. We won't know for sure until Louis hits the road, but the bottom line is that this company further confirms that Louis does have solid plans to tour on his own. let’s move on to what the terms Exclusive License and Distribution Deal mean. An exclusive license is just that, exclusive. As part of the agreement, Louis would not take part in another licensing agreement with a competitor of who he signed the agreement with (in this case, Simco Limited / Sony Music Entertainment UK Ltd) as it would break exclusivity. There are pros and cons that come with signing exclusive licensing deals, just as there are with going the non-exclusive route. Most of the cons are related to artists with a smaller reach or who are up and coming in the industry, neither of which apply to Louis. The pros are that it allows much greater control and the ability to negotiate things such as performance royalties, synch fees, percentages and ultimately, allows the artist much more creative control. Traditionally, a distribution deal is made between an independent label and a major label (eg Epic, Columbia, Republic, Capitol, etc. ), who are affiliated with the ‘big three’ record companies (Sony Music Entertainment, Universal Music Group and Warner Music Group). The major uses their access to manufacturing resources to produce physical albums and utilise their vast distribution channels for a greater reach. The major would do this in exchange for a percentage of the artist’s sales. As the music industry has changed, distribution deals have changed too. Established artists, such as Louis, do not need to be ‘developed’ by a major and are financially independent; removing the requirement for a monetary advance which must be repaid to the major. Under these arrangements, the independent label is also able to avoid turning over the ownership of the record masters to the major, which is a key component of a traditional deal. For marketing, PR, social media management, and other related services, the independent can choose to manage these functions themselves, or may decide to engage the major to provide a Label Services Deal that encompasses these services. here are how things compare for Louis, Niall, Harry, and Liam. Louis Tomlinson - Back To You - ℗ 2017 78 PRODUCTIONS LIMITED under exclusive license to Simco Limited / Sony Music Entertainment UK Limited. Niall Horan - Slow Hands - ℗ 2017 Neon Haze Music Ltd, under exclusive license to Capitol Records. Harry Styles - Sign of the Times - ℗ 2017 Erskine Records Limited, under exclusive license to Columbia Records, a division of Sony Music Entertainment. Liam Payne - Strip That Down - ℗ 2017 Hampton Records Limited, under exclusive license to Capitol Records, a division of Universal Music Operations Limited. *Updated to include LT Touring LLP - November 19, 2017.